Manufacturing companies have a tough job when it comes to managing their sourcing and procurement operations. Complex supply chains, stringent regulatory and compliance requirements, and a vast spend portfolio -- the job is downright unwieldy for even the most sophisticated of companies. 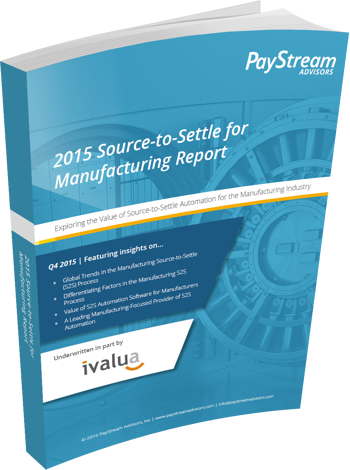 If you want to maximize the results from your procurement team, this report is for you. Download your copy today!